Regular old file systems might be how you’ve done things for years, and you might have a pretty good set of processes going for how to store things and where, but technology has come a long way since File Explorer was created. As an NFP, you want to be able to do tasks more efficiently with a limited budget for tech. The good news is there’s an inexpensive way to organise, find, and collaborate on your files with 2019 technology that means performing tasks is a breeze. Introducing Microsoft SharePoint’s Cloud Document Management. Once implemented, you’ll wonder how you ever survived without it. Cloud Document Management isn’t just your OneDrive/Google Drive/DropBox folder system full of documents. Eventually, these sorts of systems get messy in an organisation. 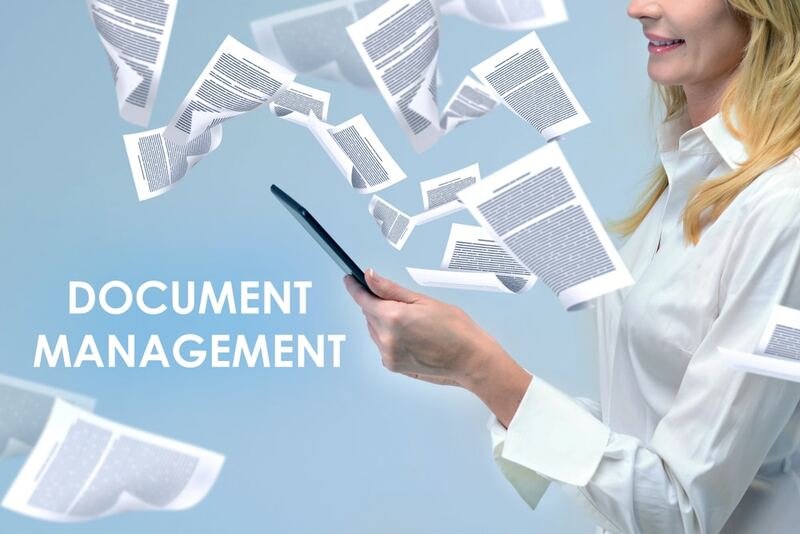 It’s all well and good for a small, new team, but once you get past a certain point, it can be hard to find documents, work collaboratively, and organise properly for effective document management. That’s when a Cloud Document Management system comes in. SharePoint is a Microsoft product that has a number of functions; one of them being Cloud Document Management. You can also build custom internal websites for your NFP, create social feeds, and create applications with SharePoint; but these are beyond the scope of this article. SharePoint is a platform built to be unique for each business and unique for your requirements, so in between document management, intranet, website development, amongst others, SharePoint will be what your NFP wants it to be. How does SharePoint Cloud Document Management work? Using SharePoint for Cloud Document Management, you can organise your files into grouped areas, such as by departments, programs or campaigns. Each file has a version history, so older versions of files are never lost. Because it’s in the cloud, it also means you can access it by a web browser or app, so files are available from anywhere, on any device. The collaboration features, such as co-authoring (having two or more people working in the same document simultaneously and saving changes) mean you can work on files with outside organisations and other NFPs without friction. Security is guaranteed, and you can select that your data only be stored in Australian cloud servers. You can also organise by user access, too. User access management is a crucial and often overlooked function within NFPs. 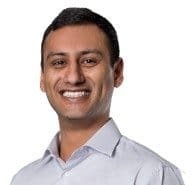 Too often we see NFPs who either have volunteers given access to all their file systems, or the painful process of asking manually whenever they require document access. Utilising SharePoint (correctly) provides a neat solution to this issue. 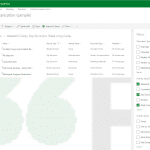 SharePoint allows you to add metadata to your files for effective and easy organisation. SharePoint’s metadata capabilities allow you to assign many types of data and properties to your documents. Metadata is data about data and can include rich-text long-form descriptions, auto generated reference numbers, and multiple-choice selections chosen from drop-down lists. With the appropriate metadata, documents are easier to search, navigate and identify. When locating a file relating to a specific activity within a NFP program in a traditional folder based filing system, staff would browse to the relevant program folder, then look through all the other files in that folder to hopefully find the specific document (assuming it will be saved under the right name and will be the last updated version, or that staff know where to look in the first place). This means you can create Content Types (e.g. Invoice, Whitepaper, Presentation, etc.) and assign these types to files (making files searchable and/or organised by type). Your Invoice type could have metadata fields of Year, Donor Name, Invoice Number, etc. Your Whitepaper type could have metadata for Project Name, Contributors, and Distributed To metadata fields. All this metadata and Content Types allows you to easily, for instance, find all Whitepapers that are for Press Release containing the words “Environment” that were created in the past 2 years. You can also assign a document template to the Invoice Content Type so that all invoices are formatted consistently. See how this can help keep you organised? You can even add automations to your document management system with Microsoft Flow, enhancing efficiency in file management. One example might be when a file is marked For Press Release in your system, it’s emailed to the manager for approval. The first task in switching to SharePoint Cloud Document Management is splitting up your current drive and folder structures into libraries. Each library should represent a separate business function. If your file system is quite organised already, this shouldn’t be too tricky. Your HR folder will be a separate library, your Donors folder will be a separate library, your Projects folder will be one separate library, and so on. You can then create a central library to manage Policies for each of your separate areas/libraries – instead of having your policies and procedures for each department under their respective areas. This is a better configuration for a holistic approach to organisational management. If your NFP already uses the Microsoft’s O365 suite, then you should have SharePoint there waiting to be used! We can give you a hand setting things up for the best document management experience and structure and walk you through it. We are Microsoft Certified Partners, which means we’re not only able to provide the SharePoint software, but train you in how to use it, and teach others within the organisation. Get started on a better way to organise all your digital file management as part of your digital transformation with SharePoint and Bremmar. Contact us now on 1800 991 351 to learn more.